To review your purchase history, that is, the entire history of your purchases from the WP RSS Aggregator website, you need to visit your WP RSS Aggregator account. Here's what you need to do. Visit the Purchase History tab. Scroll down the page to review your entire purchase history. Every complete purchase will have a row like the one seen below. Click on this link to open the Purchase Confirmation page on our website for this purchase. 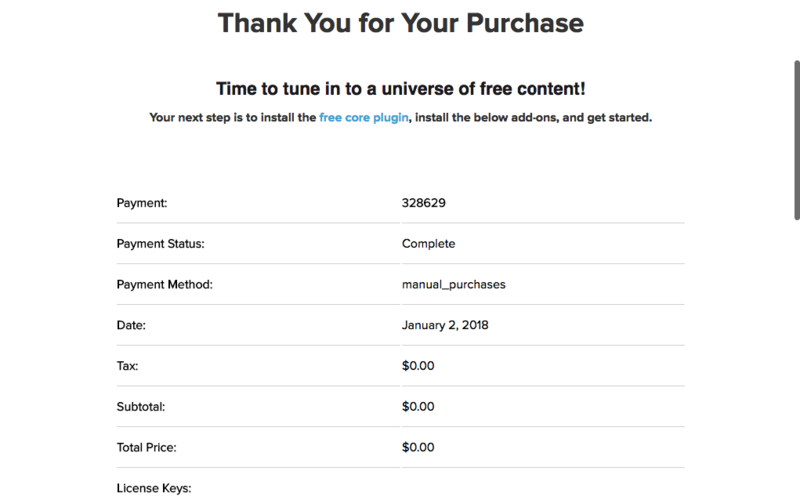 From here, you can review all the payment details, download the original invoice, find your license keys, view subscription details, as well as download the latest version of the purchased add-ons, as seen below. Click on this link to use our invoice generator. 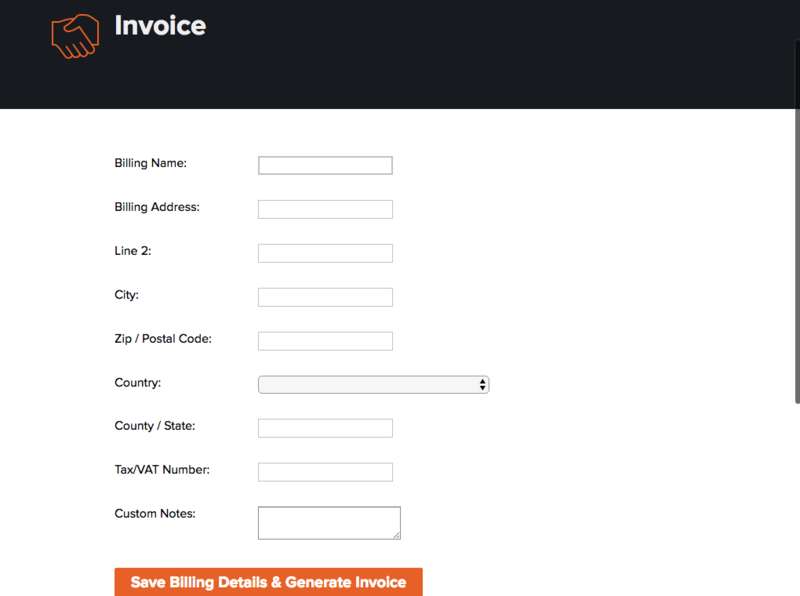 From here you can set new billing details and generate a new invoice. This is very useful if you would like to generate an invoice with your company details, rather than your personal details, including the company name, address, Tax/VAT number and custom notes, as seen below. Click on this link to download a copy of the original invoice. Click on this link to review the license key details for the add-ons associated with this purchase. All renewal payments, whether from a subscription or a manual renewal, will be marked as Renewal under the Details column. For all renewal payments, you will be able to generate a new invoice, download the original invoice, and view the associated license keys, all as explained in the above section, A "Complete" Purchase. If a purchase has been refunded, the Details column will show Refunded. For these purchases, you will no longer have access to purchase details, invoices or license key details. If you were about to purchase an add-on or a bundle and you did not complete the purchase, this will be listed as Abandoned under the Details column. You will be provided with a link to Complete Purchase, which, when clicked, will re-open the Checkout page on our website with the exact details that you left it with. If the Complete Purchase option is not available, too much time has passed since you abandoned the checkout page. In such a case, you would need to start the purchase process again from our Add-ons page.